How to Find Canada Government Jobs. The Canadian government is a prolific employer and offers jobs at all levels for people with all kinds of experience and qualifications. Whatever your skills, you will probably want to know how to find Canada government jobs if you would like secure employment with excellent benefits. What Kind Of Government Jobs Are There In Canada? The Canadian government offers a wealth of employment opportunities and there are multiple capacities in which you can work for them. From entry level positions such as junior administrative posts and cleaners to senior and professional roles such as policy analysts, there are roles that suit a broad spectrum of candidates. Of course there are a multitude of positions available spread throughout Canada itself, but there are also posts which involve traveling abroad to foreign missions across the world. There are several ways to find a Canadian government job, and you can find advertisements for suitable positions both offline and online in all three levels of government from municipal to provincial and federal. To find federal government positions, you can try the centralized online system which advertises vacancies in public service offices. You can find this on the PSC (Public Service Commission) website at http://www.psc-cfp.gc.ca. Here you will find a large list of job opportunities at the federal level of government at all ability levels and for people with a wide range of skills and experience. Alternatively, you could try looking at the various websites of each of the federal departments in which you have an interest in working. The website of the RCMP holds information about all current employment listings and you can also find posts advertised on the Canadian Revenue Agency website. These sites give job seekers plenty of information about the best way to apply for these positions as well as clear details about the requirements for each post. If you wish to work at either the municipal or provincial level of government, you will need to visit either the provincial or municipal website for the specific area in which you would like to work. The specific departmental websites provide job listings and these are especially helpful when looking for employment in the larger provinces. If you would prefer to take your job hunt offline, there are several ways in which you can find information about current government job vacancies in Canada. Probably the best option is to visit the government offices in your region as all vacancies are likely to be listed in the offices for the public to view. You may also find positions listed in your local newspaper with your regional government. Alternatively, if you already know people who currently work for the Canadian government, you could use your networking skills to find out about positions that are likely to be opening up in the near future. What Are The Benefits Of Working For The Canadian Government? There are many benefits of working for the Canadian government, not least the excellent working environment, attractive salaries and impressive benefits. There are also lots of opportunities for pay progression and promotion within the government, making this a good choice for those who are interested in climbing their career ladder. 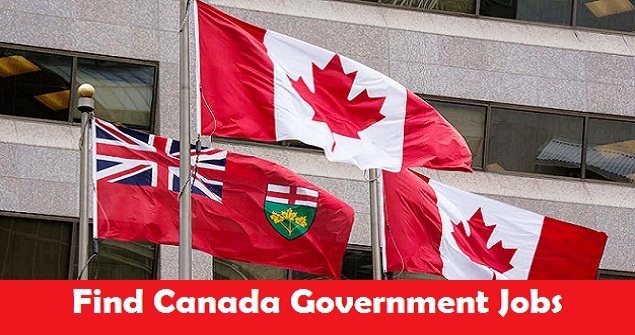 The Canadian government offers plenty of in-house training opportunities and professional development courses, which means that government employees are often able to move between departments throughout their career, allowing for flexibility and versatility of employment. The benefits that are on offer include paid parental leave, paid vacations, health and dental insurance and flexible working arrangements to fit in around family and lifestyle commitments. The qualifications that you will require to work for the Canadian government will of course vary depending on the field in which you plan to work. While entry level positions may require nothing more than the right attitude and a good high school education, other posts will necessitate specialist qualifications. For example, to take an administrative post, you may be required to have typing and IT certifications. Higher level posts will require a degree level education and perhaps further training within your specific field. All roles will require a good level of spoken and written English or French language skills.